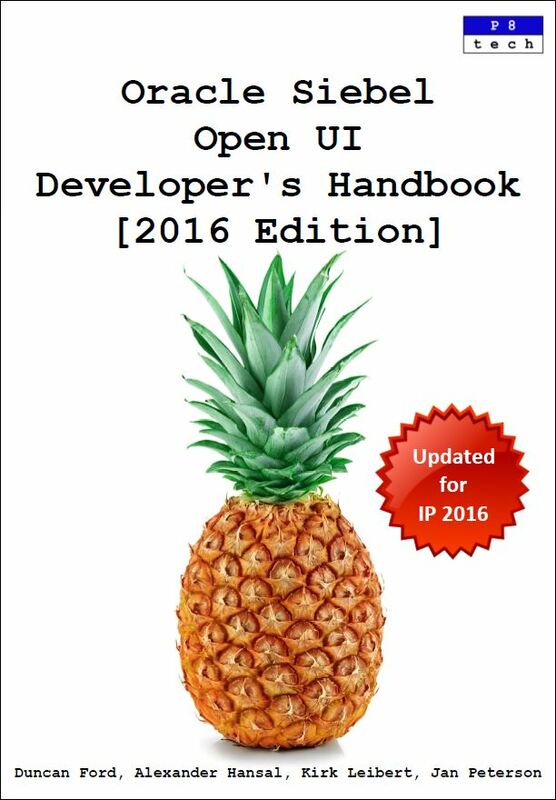 This Oracle Siebel Open UI Developer’s Handbook is an update to the acclaimed 2015 title and contains 20% new and revised material. It shows experienced Siebel developers how to get the very most out of the new Open UI framework, quickly and effectively! Written and updated by distinguished Siebel CRM experts from Oracle, the book is filled with practical information and exclusive insights. All the example code is available, in a download, from the P8 site. Written by distinguished Siebel CRM experts from Oracle, the book is filled with practical information and exclusive insights.